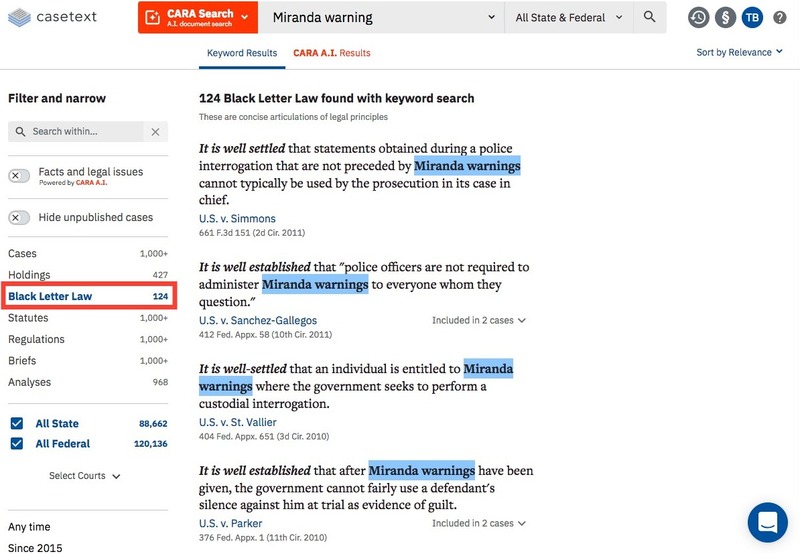 What is the Black Letter Law section in search results? 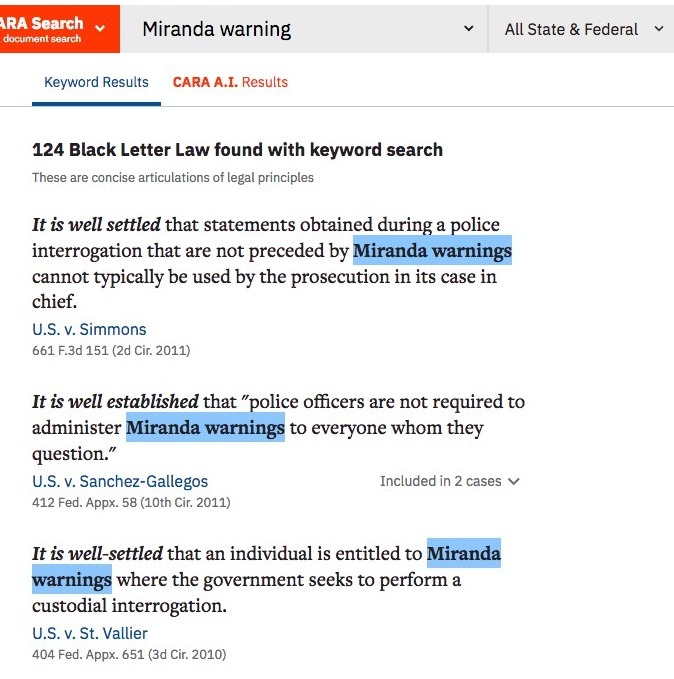 Casetext’s Black Letter Law database provides a collection of concise articulations of legal principles. Use this section to familiarize yourself with a new area of law, or to find succinct statements on legal issues that you can cite with confidence, knowing these are well settled or well established principles. You can access Black Letter Law via the menu of the left side of your results screen. Contain passages that start with It is well established.... ; It is well settled... ; it is axiomatic...; etc. Below please find a brief video on Black Letter Law.